Bear populations are on the rise across the country and with that rise is an increase in bear attacks. Normally Black and Brown bears do not attack people, but as populations rise, the need for food is greater than ever and more bears are competing for it. 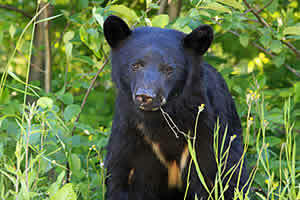 Bears have increasingly sought out food in garbage cans, bird feeders, pet food dishes and landfills. There has also been a rise in home and cabin break ins with bears seeking out food. Bears even break into cars in many National Parks and remove any food left in them. If bears are being a nuisance in your neighborhood or business, our Wildlife Experts have the techniques and technology to remedy this situation. Call on the Wildlife Management Professionals for unique bear control programs.